The Kindle only allows the reading of Amazon DRM-protected content. So how do you load other eBooks onto the Kindle? 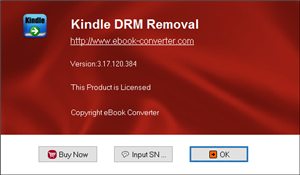 Just convert other ebook to PDF. 1). 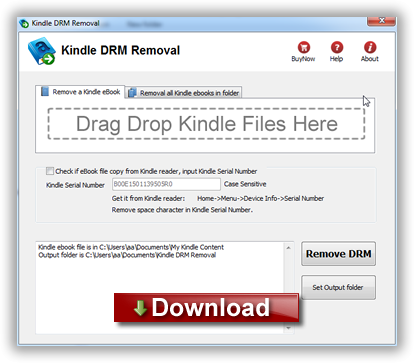 Install and run Kindle DRM Remova to remove drm protection from kindle books, it is easy to use, just click “remove DRM” button, a new azw file will created without DRM. 2). Add new .azw file to Calibre, just drag azw file into Calibre, then convert azw format to epub format that support by moset e-reader device, include Sony e-reader. 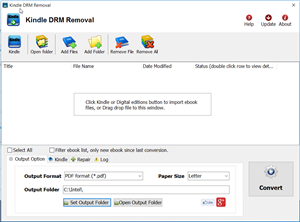 detail look How to convert Kindle AZW to EPUB/PDF/RTF/TXT format? 3) Once you got .epub file, upload to Kobo e-reader, enjoy reading.